We work with youngsters from 13-18, giving them the confidence and motivation to push their GCSE grade up to a C (and beyond). We work with young offenders, giving them the confidence and motivation to access further and higher education when released. We also offer clinical work on a one to one basis, and consultancy work within secondary, further and higher educational establishments. Inspirate was set up in 2015 by Darren Smith. Darren comes from a teaching background, and quickly identified that there is a requirement within the education and prison system for additional support for teenagers between the ages of 13 and 18, and young offenders. Inspirate now motivate and inspire young adults across the UK to achieve their full potential, whatever their background. Inspirate have built themselves as a empathetic, understanding and inspiring company, passionate about achieving success for the youngsters who they work with. To find out more about what we do, contact us by using the contact form. 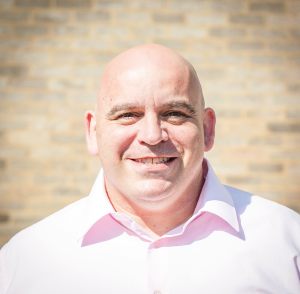 Darren started off as a musician in the Royal Marines Band Service but after being injured and medically discharged embarked on a teacher training degree and took up his first post in 1994. He has since worked across a range of settings including mainstream, independent and special schools in roles ranging from class teacher to Acting Head Teacher.